Lighthouses have an iconic charm, but beyond the pristine whiteness fables of shipwrecks and smugglers swirl around them. And then, there is the reality of staffing and maintaining them which was a twenty-four-hour, year-long occupation before automation. 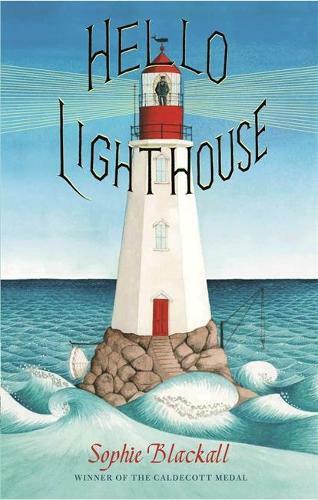 Sophie Blackall’s splendid aerial perspectives and gorgeously rendered weather patterns show the drama and isolation of this life, but luckily the lighthouse keeper in this story is joined by his wife and the loneliness is alleviated. The dramas and seasons are atmospherically portrayed with a delicate sensitivity and just the right amount of prose to appeal to an audience of 3+.